13.1314 Bachelor B.S.S. Sports Coaching In following the course of study, sports coaching students gain expertise needed for careers in the exciting field of sports coaching. 31.0504 Bachelor B.S.S. Sports Management In following the course of study, sports management students gain expertise needed for careers in sport facilities management, sports information, high school and college athletic-department management, professional sports front-office management and community relations. 31.0505 Bachelor B.S.S. Sports Strength & Conditioning Strength and conditioning job opportunities are expanding and the knowledge required for sports professionals in the field is also increasing. Students who complete this degree will be prepared to take national certification exams, such as ones by the National Strength and Conditioning Association (NSCA). 31.0508 Bachelor B.S.S. Sports Studies Sports studies students create a sport-specific curriculum specific to their interests in the sports world. Courses are selected in accordance with each student’s interest from both the sports management and sports coaching departments. In this area, students will work closely with an advisor to develop a personalized course of study based upon their individual needs. 13.1314 Masters M.S.S. Sports Coaching The master’s program in Sports Coaching is designed to prepare a student for leadership in a coaching career at a variety of levels of competition. In the world of athletics, the difference between average and elite performance can hinge on the level of coaching an athlete receives. 31.0505 Masters M.S.S. Sports Health & Fitness Within the Department of Sports Exercise Science, a Sports Health & Fitness major can lead to many financially rewarding career opportunities in today’s society. 31.0504 Masters M.S.S. Sports Management The curriculum in the Department of Sports Management is designed to give students the core skills required of any manager to be successful in a sport setting. 31.0508 Masters M.S.S. Sports Studies In the Sports Studies curriculum, a student works with an advisor to select courses from any department to build a concentration based on his/her own area of interest. 31.0301 Masters M.S.S. Recreations Management Recreation and leisure are an important part of a healthy lifestyle. With hectic lives and busy careers, people are looking to escape on extended vacations to exclusive resorts or just take a weekend hike in the woods. 31.0504 Doctor Ed.D. Sports Management The Academy’s Doctor of Education (Ed.D) in Sports Management degree is a 66-semester hour program beyond the master’s degree.  The doctoral degree is designed to prepare students to perform with a high degree of efficiency and proficiency in the sports industry. There are three areas of specialization with the Ed.D. and students must select one: Leadership, Marketing, or Human Resource Management.